Change of use from market & office to a restaurant & brewery. Proposal is to build a 30 unit apartment building with convenience store on ground floor. Existing structures to be demolished. Demo existing historic building and build a new 8 story mixed use building. First floor commercial & restaurant, 2nsd floor open space, apartments above. New 12 Unit 3 Story Apartment Building. New mixed use project, 4 stories, 33 apartment units over ground floor retail, with roof deck and associated site work. Partial change of occupancy from S-1 and F-1 to B; shell only; no occupancy this permit; renovation of entire building; reconfigure basement stairs and walls; reconfigure walls on main floor to create future tenant space, mechanical room, garbage room; new entry patio; remove mezzanine; full seismic upgrade to current code OSSC standard. 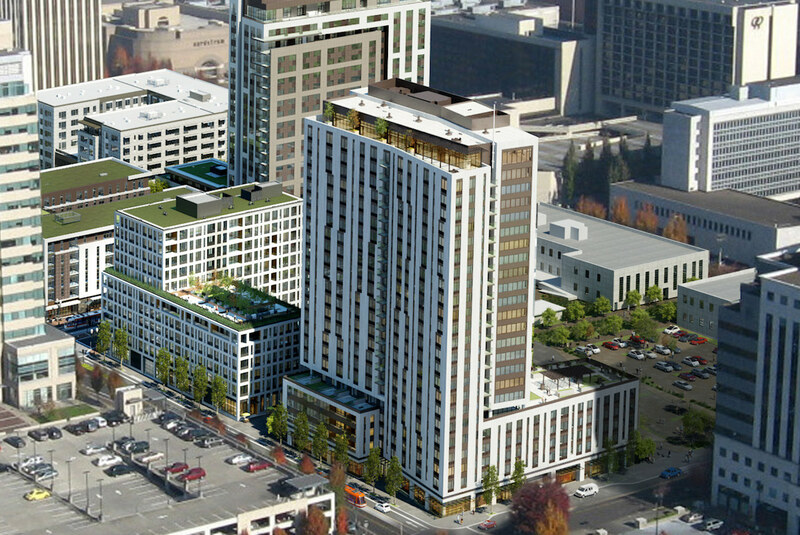 A little more than 3 years after the Portland City Council added minimum parking requirements for new apartment buildings, it has voted to remove them, reports the Portland Mercury. The Post Office site in the Pearl has formally been handed over to the Portland Development Commission, writes the Business Tribune. Development on the site could begin in two years. 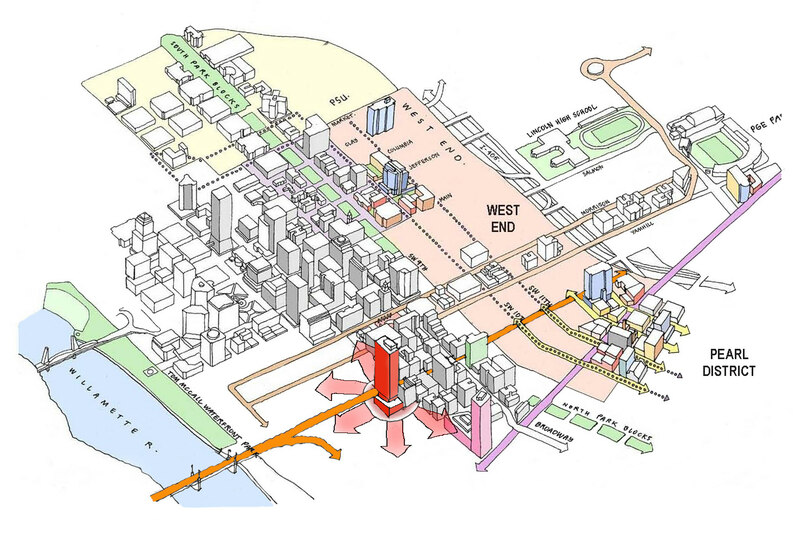 Walker Macy has presented the interim findings for the Design Overlay Zone Assessment Report, writes the Business Tribune. 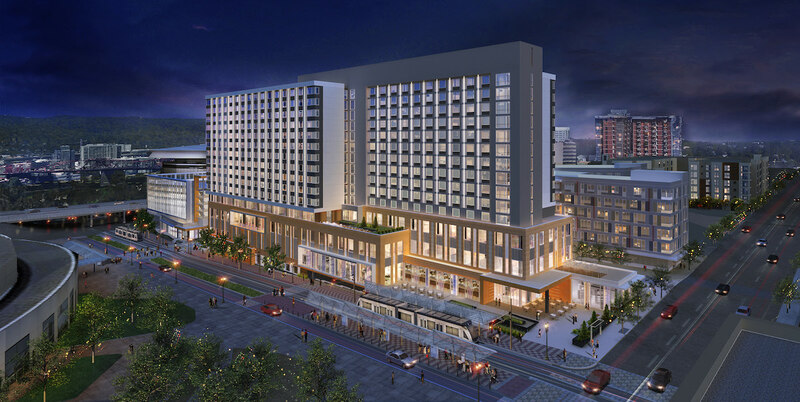 The buyer of the Macy’s space at the Meier & Frank Building has confirmed their plans to the Portland Business Journal: ground floor retail with creative office space above. The DJC published photos of the completed Burnside Bridgehead building Slate. 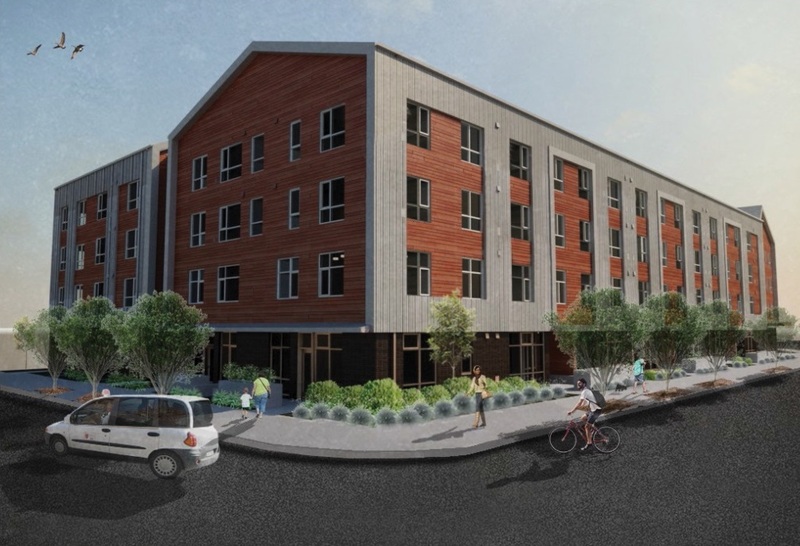 Construction Dive wrote about The Amy, the 141 unit student-oriented affordable housing now under construction in SW Portland. Questions about proposal for new construction for number of units to achieve max density for household and group living. Pre-application conference for renovation and expansion of existing four story, 145,000 sf anchor. First and second floor will be multi-tenant use; demolition of 4th floor and expansion of third floor from 37,000 to 75,000 sf. Construct new 3 story (30 unit) apartment building with associated site work and detached trash enclosure less than 120 sq ft.
Riverplace Parcel 3, which will include 203 affordable housing units in a 14-story tower and 176 market-rate apartments in an adjacent 6 story building. Portland voters approved a $258M affordable housing bond measure on Tuesday, that will create at least 1,300 housing units. The Willamette Week wrote that Mayor-elect Wheeler agrees with outgoing Mayor Hales that it’s time for Portland to end its ban on apartments without parking. The DJC took a look at* the ongoing renovation of the Fisk Tire Company Building. The Pearl District building was most recently home to retailer Cargo, and is now being converted for use by Room & Board. 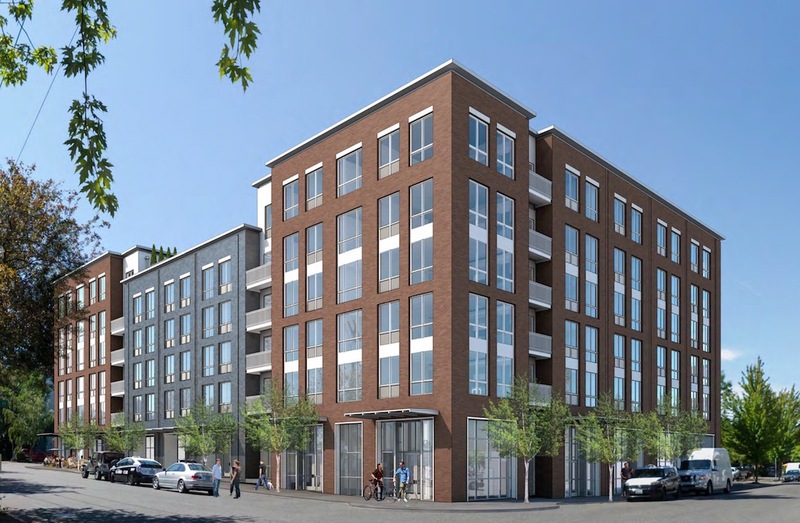 The Portland Development Commission is planning on buying three Central Eastside blocks, according to the Portland Business Journal. 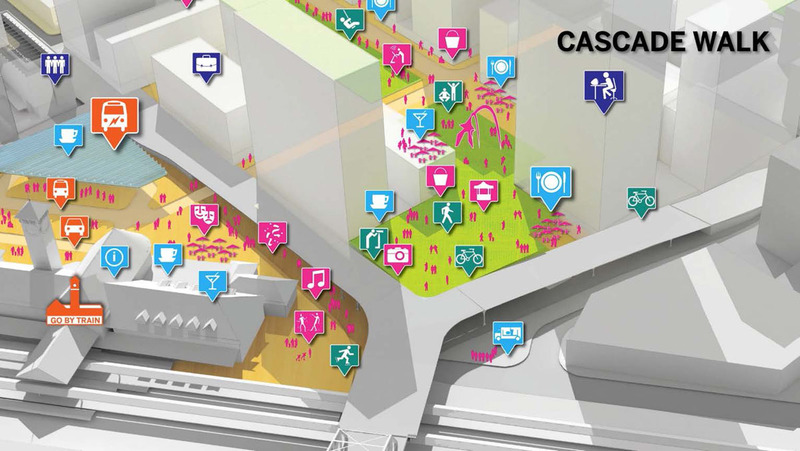 The acquisition will allow the PDC “to deliver on goals to increase affordable industrial space and district parking.” Last year Bora Architects developed a conceptual plan for the site, which they called Water Avenue Yards. 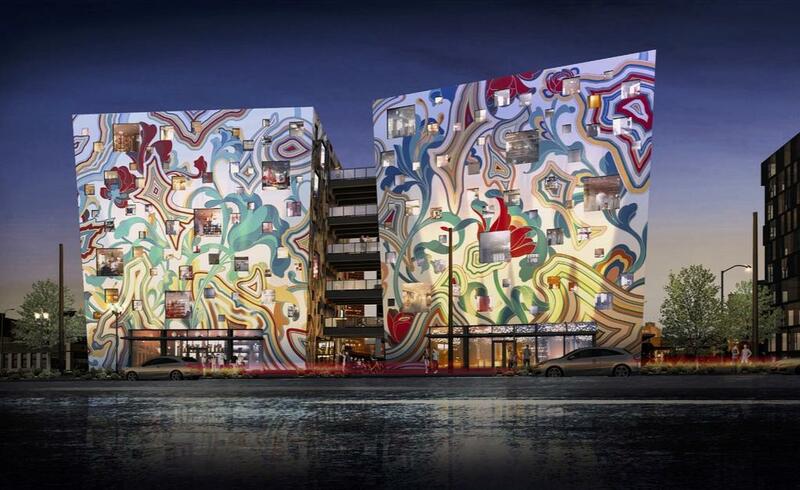 The Business Tribune wrote about the upcoming AIA Portland Architecture Awards. Winners will be announced at a ceremony held at Revolution Hall, on Thursday November 17th. Moovel North America will close its Austin office, and consolidate all 116 of its employees into a new headquarters at the Overland Warehouse Company Building in Old Town. 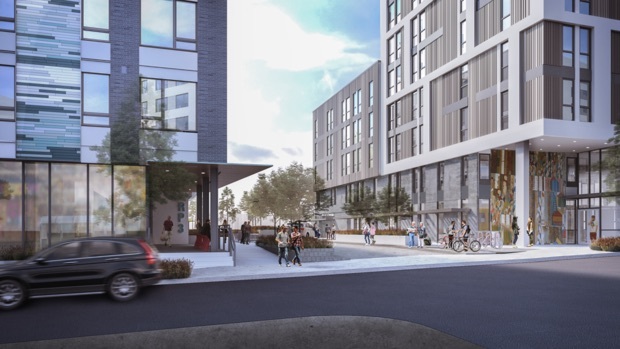 The Oregonian reported that the mixed income development at Riverplace Parcel 3, which was recently submitted for Design Review, will not include a grocery store as originally planned. With construction about to begin on 1400 NW Raleigh, the Portland Business Journal reported that the site has been sold for $5.8 million. 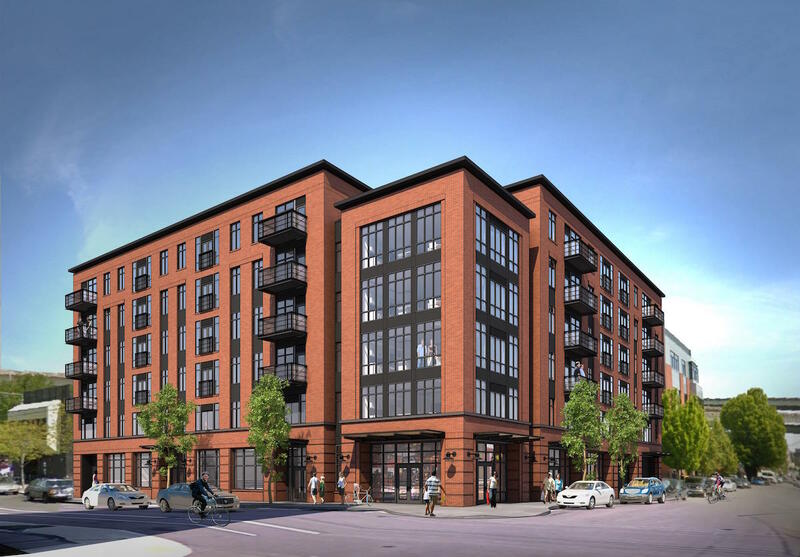 New 4-story apartment building with approximately 80 units. New 4-story 30-unit apartment building. Proposal is for construction of a new multi-family building for maximum amount of units allowed and garages for a portion of all new units. One existing dwelling will be demolished. Property has three existing buildings; one single family, one four unit apartment and a duplex. The multi-family units are to remain.